Bell & Howell Disk Lights are circular solar-powered LEDs that can be used for outdoor lighting. Do they really work? 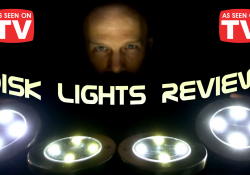 Here is my Bell & Howell Disk Lights review. 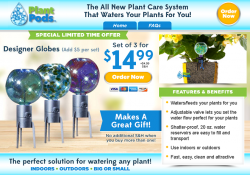 Plant Pods are a plant care system that automatically dispenses water for up to a week. Do they work as advertised? Here is our Plant Pods review. 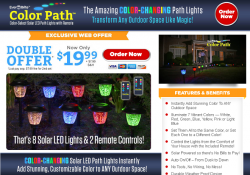 Ever Brite Color Path is a solar powered landscape lighting system. Does it work as advertised? Here is our Ever Brite Color Path review. 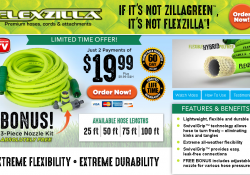 Flexzilla is a tough, bendable, and lightweight garden hose made of a hybrid polymer. Does it work as advertised? Here is our Flexzilla review. 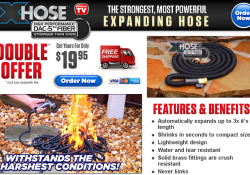 Leak No More is a universal hose gasket that twists on to stop leaking. Does it work as advertised? Here is our Leak No More review. 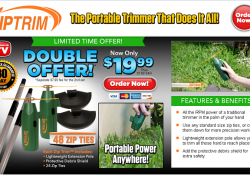 Zip Trim is a portable weed trimmer that uses standard zip ties as the cutting mechanism. Does it work as advertised? Here is our Zip Trim review. 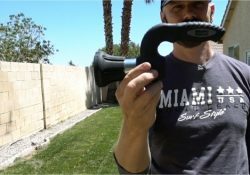 Mighty Blaster Review: High Pressure Hose Nozzle? Mighty Blaster is a garden hose attachment with an adjustable water pressure nozzle. Does it work as advertised? Here is our Mighty Blaster review. XHose DAC-5 Review: Does it Work? XHose DAC-5 is a resilient and kink resistant garden hose that expands and contracts with water pressure. Does it work as advertised? Here is our XHose DAC-5 review. 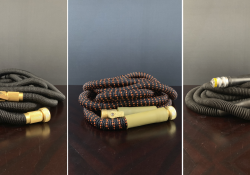 Pocket Hose Brass Bullet Review: Does it Work? Pocket Hose Brass Bullet is a pliable and durable garden hose made of seamless biaxial braid fabric. 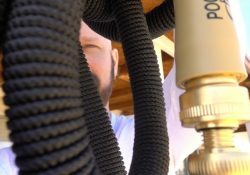 Here is my initial Pocket Hose Brass Bullet review.